Across the global corporate landscape, tax is an increasingly important business issue, and this is having an unprecedented impact on deal-making. Recognized private equity strategic advisor. Entrepreneurial businesswoman with track record for building and growing new business markets. Passionate about the power of digital transformation. Bridget is the Global Head of Transaction Tax, leading more than 1,800 Transaction Tax professionals globally. She has extensive experience advising private equity houses, other fund investors and corporates on some of the most complex and high profile global transactions. Bridget is also the lead relationship partner for some of EY’s largest private equity fund clients. 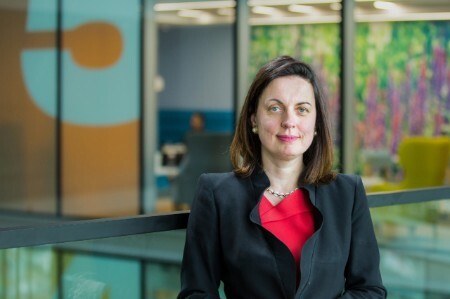 Previously, Bridget has successfully held a number of senior leadership roles in the EY UK&I region, including Head of Private Equity; China Trade Route Leader; and Head of Transaction Tax. She represents EY on two international Boards: British American Business and The China-Britain Business Council. Passionate about education, Bridget is a member of SHINE, the educational charity which raises the achievement of children in disadvantaged areas. Bridget earned a bachelor’s degree in Economics from Queens University Belfast and a master’s degree in International Banking and Finance from University of Southampton.